Taking minutes at meetings has always been a challenge. Now SoniClear software automates the process so that you can focus on the meeting, instead of having to take extensive notes by hand. 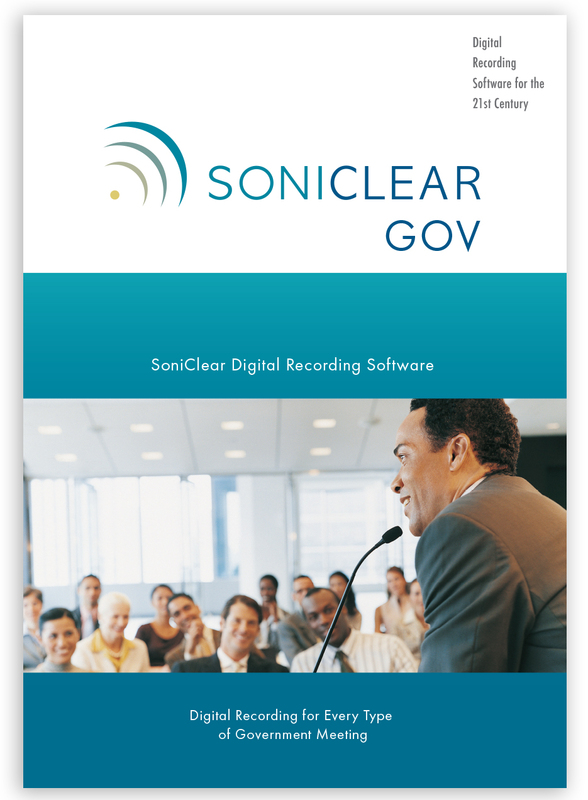 SoniClear combines clear, digital audio recording with simple note taking features for highlighting all of the meeting events as they occur. Save time preparing your meeting minutes by generating a complete transcript automatically. Then review the recording and transcript to produce minutes, without having to listen to the entire meeting again. Recording with SoniClear software is simple. It runs on any Windows computer and operates on the screen like any conventional recorder. You can relax, knowing that you will not miss any detail. Going beyond just recording, SoniClear also makes it easy to outline the events of the meeting. As discussions unfold, important points can be highlighted with time stamped notes. You can also pre-load your agenda items before the meeting and then just click to mark when that item is taken up at the meeting. When listening to the meeting, any point can be accessed with one click. Using the SoniClear Cloud service you can automatically generate transcripts of your recordings. The computer generated draft transcript can be used for publishing full transcripts, or for adding portions of the transcript to summary minutes. Creating minutes or reconstructing exact conversations with SoniClear is faster and easier. Efficiently capture meeting information, and make it available to participants. SoniClear digitally records to the computer disk drive using industry-standard MP3 or WAV audio files. VoiceBoost digital signal processing enhances the sound to ensure maximum clarity and intelligibility. Taking minutes is painless, accurate, and efficient with SoniClear. 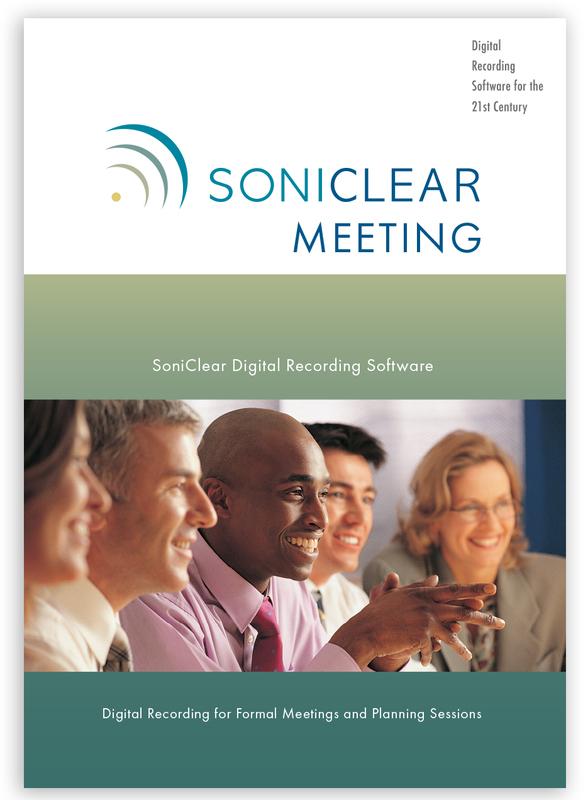 SoniClear captures the meeting as an audio or video recording, while providing simple note taking features so you can highlight all of the meeting events as they occur. Play recordings using the included free Gov Transcriber 9 software. This provides synchronized playback with the meeting notes. Gov Transcriber 9 also integrates with the SoniClear Cloud voice-to-text transcription service. Recording files can be copied to CD or flash drives for sharing with staff, elected officials, and the public. The LAN Archive feature makes recordings available on the internal network for review using the free SoniClear Player software. The Webcast Archive feature in Gov Recorder 9 enables the option to make recordings available for on-demand streaming. Upgrading to SoniClear is Easy and Intuitive. SoniClear runs on any Windows 7 or Windows 10 computer. To get started, install the software, plug in a computer microphone and start recording. SoniClear can also be purchased as a turnkey system, with the software installed and running on the computer.